[AESTHETICALLY PLEASING IPHONE 8 PLUS CASE] Premium polycarbonate (PC) frame with a unique textured design that adds extra grip to your iPhone 8 Plus. The slim design of vAllure is compatible with wireless charging for the iPhone 8 Plus. [DUAL-LAYER PROTECTION WITH RAISED BEZEL] Dual layer polycarbonate (PC) and thermoplastic polyurethane (TPU) with raised bezel protect your iPhone 8 Plus from unwanted scratches and bumps. Vena vAllure is designed using high-quality polycarbonate (PC) with metallic finishing to provide the exclusive premium look. The unique textured design on the side adds extra grip to your iPhone 8 Plus. The high-quality shock absorbent thermoplastic polyurethane (TPU) does not stretch out over time. 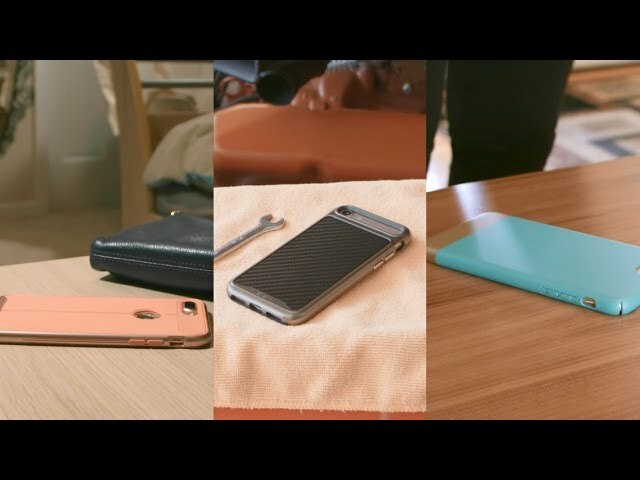 With CornerGuard TM technology and unique pattern, Vena vAllure protects your iPhone 8 Plus and disperses the force from shock and impact through the TPU case. 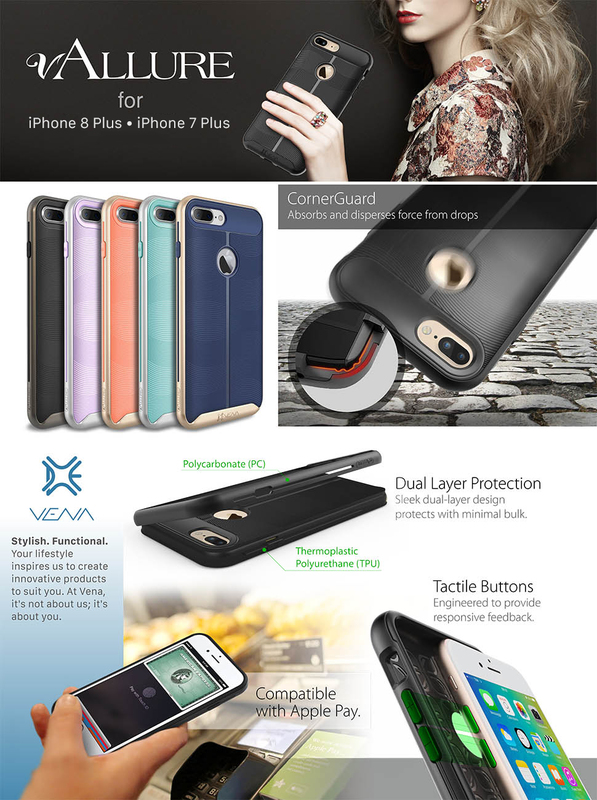 Vena vAllure is designed with precision cut-outs to suit the iPhone 8 Plus and provides effortless access to all ports, buttons, and features. The beveled power and volume buttons are crafted to maintain the same great tactile feedback from your phone's buttons.